• Refunds for unneeded tickets are available until 7pm tonight on eventbrite. Share some love with those on the waitlist. Please. • Oh, one more thing: one week to the big show. Whoo! 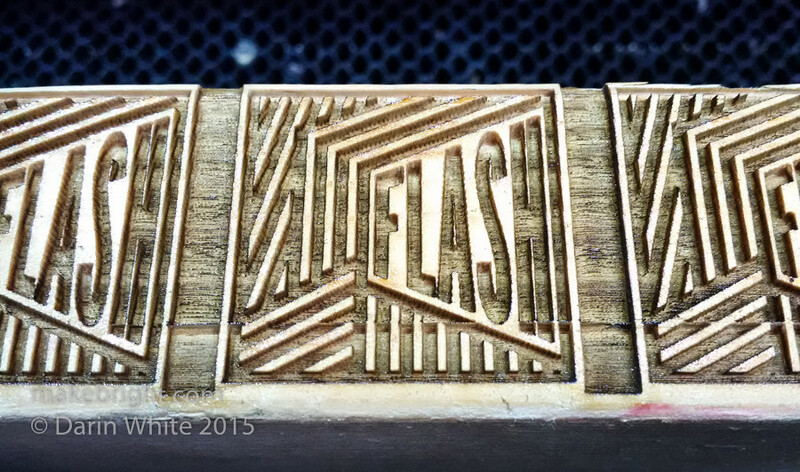 I modified my FLASH bitmap to include a keep-out bounding box so that rather than relying on my steady knife-hand to create the stamp edge, the laser would do it. Also laid up 4×1 copies in Photoshop. 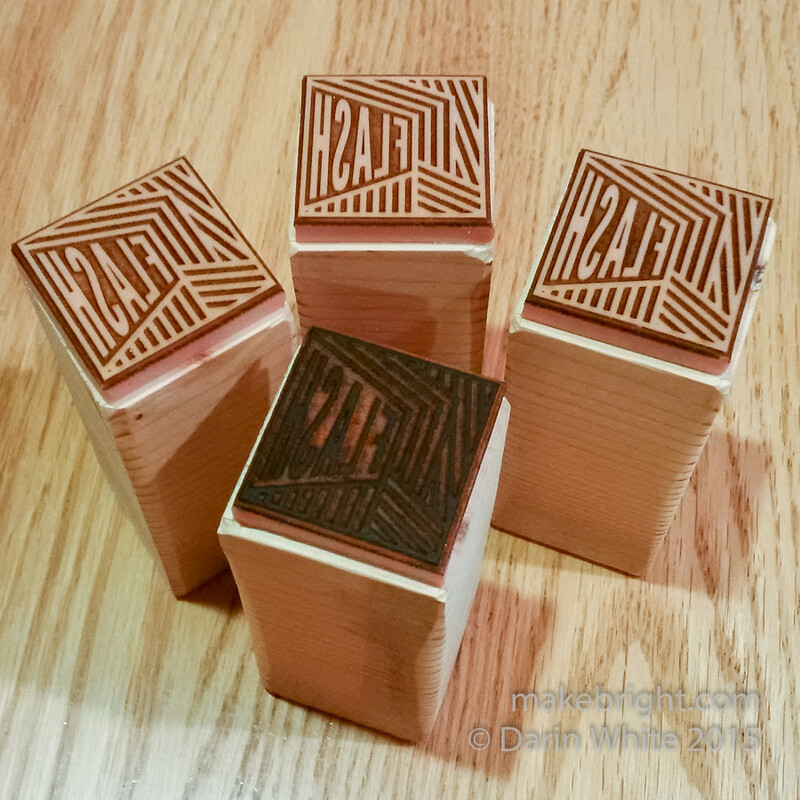 I created a complementary vector file in DXF format that outlined each stamp. 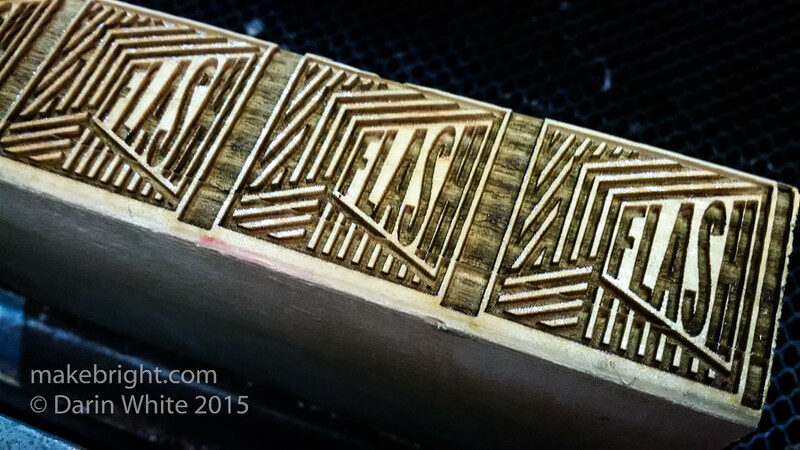 I first ran the raster to engrave the design, and then without moving the work piece, I ran the DXF in cut mode. 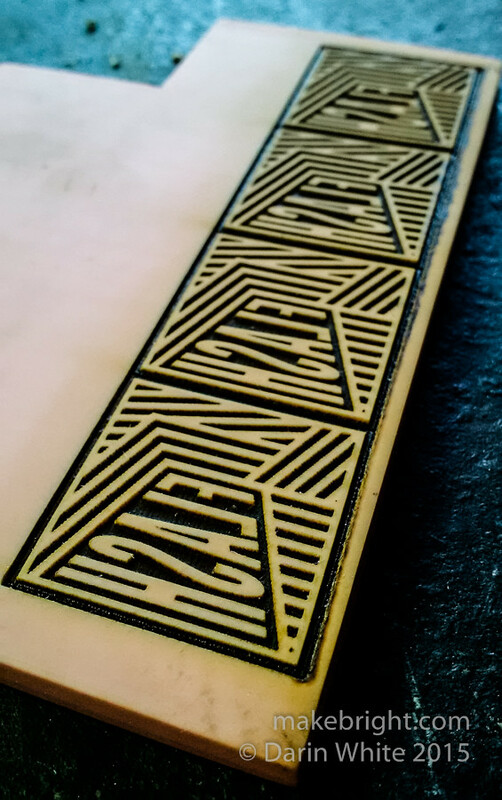 Alas, 100 power/10 speed is not a configuration that cuts clean through Speedy-Carve. Got about halfway through. James later said a speed of 5 or lower may have worked but things start to get non-linear as you slow the laser down. i.e. things start melting/burning more broadly. 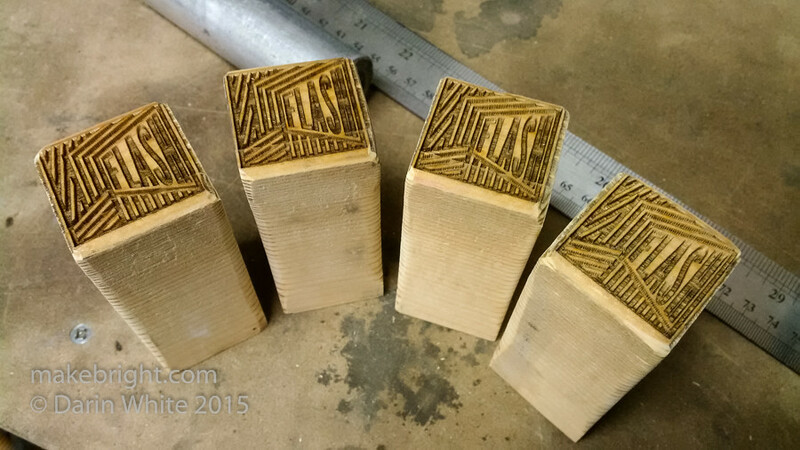 So I just finished the cuts with a knife where the laser had scored the rubber. 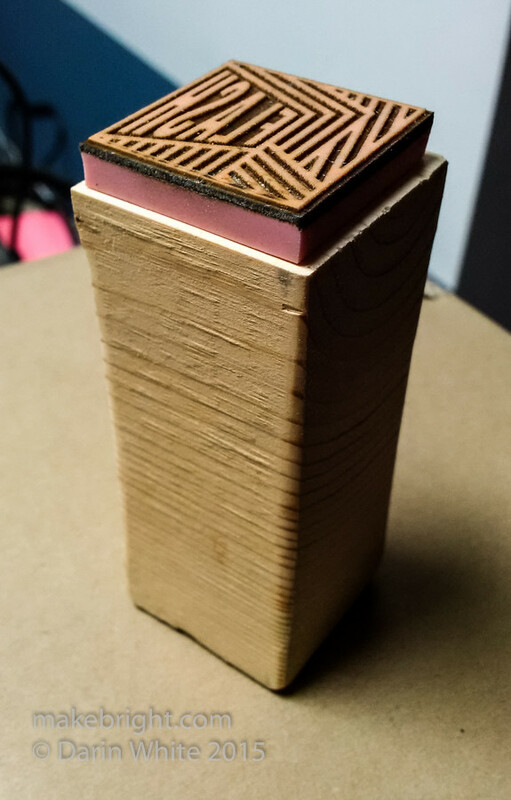 It seemed like a good idea to laser a positive version of the design on the top of the wooden handle. Helps you orient the stamp without looking at the stampy part and it’s pretty cool. In that bitmap I allowed space between copies for the saw kerf. This is just a scrap hunk of 2×4 pine that I brought from home. Chopped up and belt-sanded for enhanced hand pleasure. I toothbrushed the rubber and used double-sided tape to connect stamp to handle. Took one for test drive.